Spring and fall can bring interesting and rapidly changing weather conditions. We have been experiencing what is called a "minimum temperature heat wave." That means our low temperatures for the day have been unusually warm. In some places, the low temperature has been greater than the average high for the date. Now, we are anticipating an "atmospheric river," another strange weather term. This one means lots of rain is coming. The light can also be interesting. 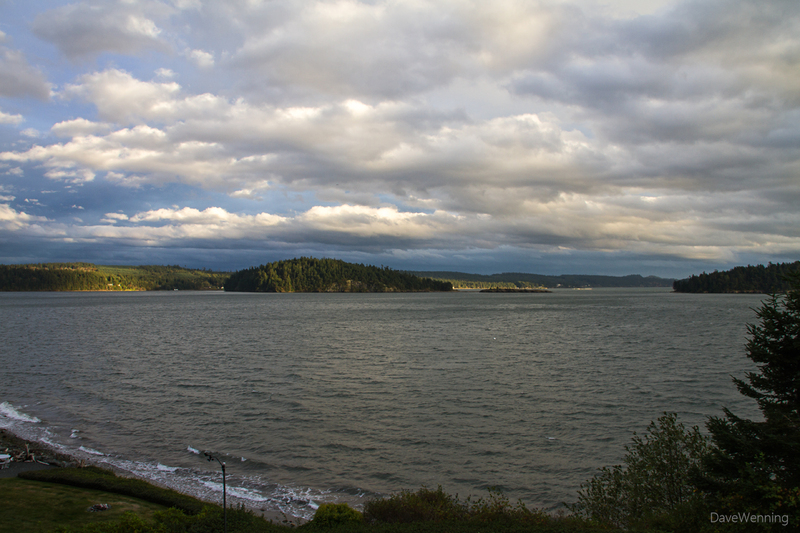 As the sun was setting below the clouds, I caught this unusual arrangement of light, shadows and colors over Skagit Bay. Very nice scene. It seems we are experiencing similar weather just to the north of you.